ENGINEERING CHANGE: Meet the ‘Ohana Nui “Engineers” — DHS and DOH staff members leading the way in transforming how services are provided to children and families. It’s a big ask: How do you improve the well-being of local families, especially the most needy, and help them on their way to self-sufficiency? The answer from the governor and the Ige administration is ‘Ohana Nui (the extended family) — what coordinator Kimberly Miyazawa-Frank calls “the golden opportunity” for Hawai‘i — the chance for the state to lead the nation in helping families thrive, not just survive. The key is a new multi-generational approach to delivering services and a unique partnership between the state departments of health and human services and their service providers. “Our departments are often helping the same families access the system,” she explained. “The governor wants us to implement an ‘Ohana Nui approach to focus on the whole family and develop a comprehensive delivery system instead of a fractured one where people may not be getting the help they need. Unlike past years, people from both departments now cite coordinated efforts to combine prevention and intervention in addressing a range of issues — from unwanted pregnancies, domestic violence, homelessness, and opioid abuse to basic “survival” needs such as jobs, housing, food, education and health care —with an emphasis on children ages zero to age 5. 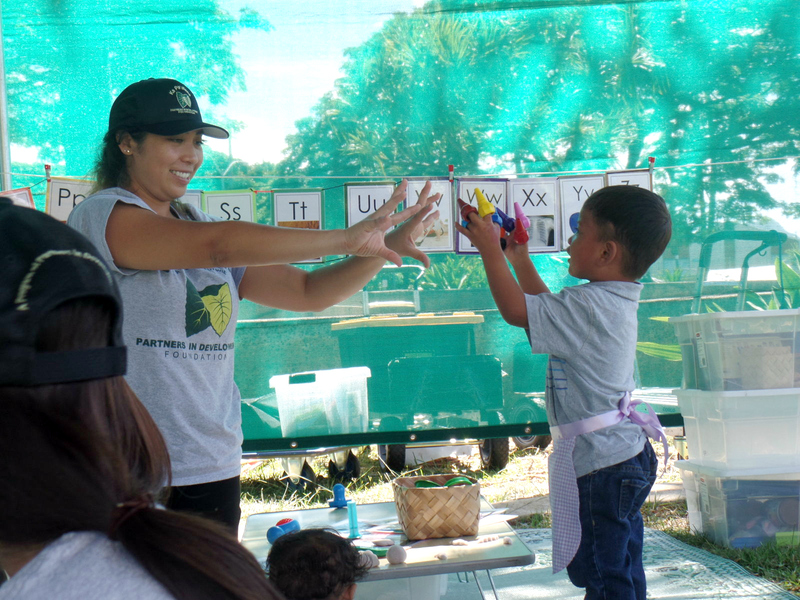 ‘OHANA NUI IN ACTION: Jessica Reyes, a Partners in Development mobile preschool staff member, counts with Relmersan, who was with his family at the Kaka’ako Family Assessment Center. The preschool program gives children a positive start. 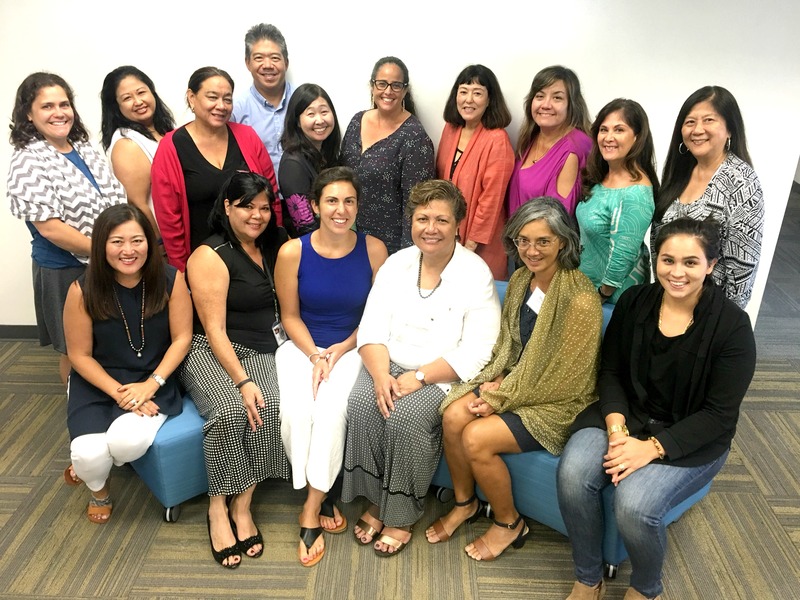 Kaka‘ako’s Family Assessment Center – Homeless families receive a comprehensive assessment and services to stabilize their lives. That includes housing, school enrollment for children, employment and case management once they leave the FAC so they don’t fall back into homelessness. Home Visiting Program – DHS and DOH teams collaborate to provide prevention and intervention services for families with children zero to five years old. The goal is to strengthen family relationships and prevent child maltreatment. Survivors of domestic violence – Intervention and prevention services for recipients of Temporary Assistance for Needy Families (TANF) to prevent intergenerational trauma and a continuing cycle of abuse, with a focus on protecting children. New contracts require providers to include services for children as well.